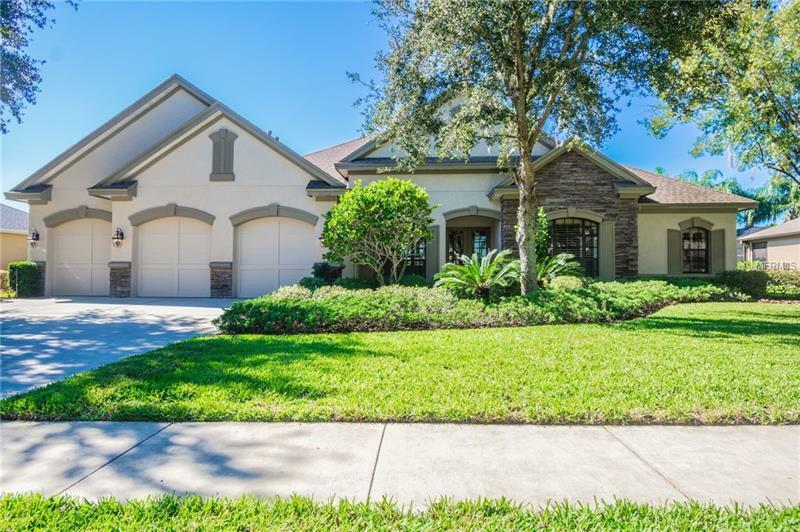 This custom 4 bedroom home by Arthur Rutenberg located in beautiful Sunset Lakes, a gated and waterfront community. Situated on a .34 acre pond lot, this beautiful and meticulously maintained custom designed pool home has been upgraded with exceptional details throughout. The home has volume ceilings with views out through the 10â triple sliding glass doors. The family room consists of two sets of triple pocketed 10â sliding glass doors. One takes you to the pool area and the other to the outdoor cabana area where you will find a Kitchenaid built in outdoor gas grill. The gourmet kitchen is a chefs delight to cook in with custom raised panel cabinets with a glazed finish and granite countertops. From the 6 burner stainless steel gas Monogram commercial cooktop, with a custom cabinet hood above, to the built in stainless steel Monogram refrigerator with bottom freezer, also a large oversized island with pendant lights above. Donât miss the wine refrigerator on the island. Large walk in pantry. The secluded master bedroom with relaxing views of the pool and pond offers another tray ceiling and crown molding, two walk in closets. The master bath has dual vanities with marble countertops and under mount sinks, the impressive beveled edged mirrors go to the ceiling, a frameless walk in shower with shampoo niche and garden tub. The outside entertainment begins in a custom pool with swim up shelf, views of Lake Vicki with lush landscaping for privacy. Dining light fixture does not convey. Agent is Owner.